Our Constitution and system of laws protect all citizens. We have many guaranteed rights. These include the right to be free from unreasonable stops, searches, and questions by the police. Citizens also have the right to travel, speak, and associate with others freely. Legally, we are entitled to the presumption of innocence as we go about our daily lives. If accused of a crime we have the right to remain silent, have an attorney to defend us, know the evidence and witnesses, and seek a fair trial with a jury of our peers. Citizens also have the right to speak out, gather evidence, and litigate when they perceive wrongdoing and injustice. Citizens should know these and other rights, and how to protect them. Safety and security are among our most fundamental civil rights. Community and personal security are only possible, however, if citizens and the police can safely engage with each other. Mutual respect, support, and a sense of common purpose are required. There should be no “we” vs “them”, or “you” vs “me”. True justice is about “just us”. While encounters between law enforcement and the people are inevitable, these occasions should never pose a threat to the lives of citizens or the police. The vast majority of people understand the need for effective law enforcement. They want it and demand it. They realize the importance of community support for the police and that there must be a bond of trust between both sides. Maintaining safety and the rule of law is essential within a civil society. When it works, it works for all—not only the strong and connected, but for those who are most vulnerable and exposed. Citizens expect the police to answer all calls for help—and to act upon their reasonable suspicions to apprehend criminals and prevent the commission of crimes. 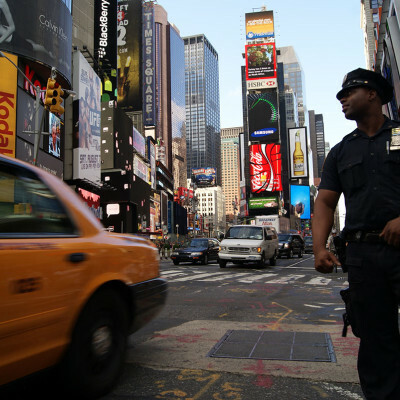 When the police do not actively investigate suspicious activity, crime eventually goes up. Nonetheless, citizens expect their police to act with honesty, courtesy, professionalism, and respect. Departments must train their officers to minimize the use of force. This is especially important when dealing with the young, the mentally ill and those under emotional duress. Policing must always be receptive to hearing the concerns of the people and seeing the need for improvement. Advancements in technology and the social sciences require us to be open to experimentation and change. Training of the police must remain a work in progress. Citizens know that the overwhelming majority of police officers are professionals. They are committed to serving the public and conducting themselves in accordance with the highest standards of the law. From time to time, there will always be “rogue” officers who break the law or fail to follow procedures. There will also be otherwise model officers who make honest mistakes. Citizens expect a system of justice that will fairly and impartially investigate their police and judge these cases. They also expect official oversight to address systemic abuses of authority and wrongdoing. Local District Attorneys, the US Department of Justice, public defenders, the ACLU, community leaders and personal lawyers must help ensure the integrity and training of our police. Most citizens recognize that our system of justice and due process takes time. Justice delayed, however, should not result in justice denied. As long as our police do not act above or beyond the law—and the police effectively police themselves—they earn our gratitude, trust, support, and respect. When they have our backs, we have theirs. All of us have the expectation that we will be treated by the police with fairness, respect and courtesy—irrespective of race, gender, class, nationality, religion, age, and sexual orientation. Unfortunately, different communities have different experiences with the police. As with many things in life, where you stand on the relationship between citizens and their police depends upon where you sit. Not everyone views the police as a fair and just partner in their safety. Many of our citizens are angry and suspicious of the police and their actions. Some of our fellow citizens feel they are the targets of racial and other prejudicial “profiling.” They see their experiences with the police as unjust, confrontational, demeaning, rude, embarrassing, and intrusive to their day-to-day lives. Some have suffered violence at the hands of the police. Some have been unfairly arrested or threatened. Too many lives have been lost, fractured, and scarred. Some of our most respected authorities have described our country as a “jailhouse nation.” Far too many of our citizens — particularly, males of color — have been incarcerated for relatively minor offenses or held for long periods of time because they could not make bail. Many have taken plea-bargained deals based on time served, rather than risk receiving additional time in defending their innocence or remaining in jail pending a trial date. Unfortunately, once our people are ruined, they often stay ruined. Records of arrests and convictions follow us for a lifetime - limiting school, employment, voting and career opportunities. Some of our citizens know first hand a system of justice that remains far from perfect and far from self-correcting. People are wrongfully arrested and charged. Investigations are mishandled. Evidence is ignored, covered up, or manufactured. Innocent citizens are convicted and imprisoned—sometimes for very long periods of time. As even the US Supreme Court has noted, some narrowly escape execution — some possibly not. The scars from these experiences are permanent and run deep. They sustain the emotions of anger, distrust, and unrest. We also can no longer ignore the difficult and deeper issues that, in reality, dictate our relationship with the police - poverty, inequality, drugs, guns, the need for personal responsibility, and a system of justice that has jailed and stigmatized far too many of our citizens. Even our most prominent and so-called “model” citizens have reasons to be angry because of their experiences with the police. 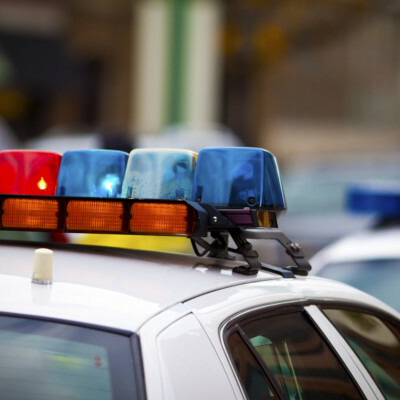 What is acting on “reasonable” suspicion and with “reasonable” force within some communities, defies reason and explanation within many others. Many of our people experience fear when approached by the police, and reflexively flee or resist. Entire communities remain anxious and “on edge”. They hesitate to call the police — often refusing to do so, even when in need of protection. Citizens see police injustice in many forms — conscious and unconscious, witting and unwitting, with forethought or out of impulse, outwardly and through silence and inaction. Far too often, words and actions between the police and communities have proven too harsh. There have been too many disagreements, miscommunications, misunderstandings, and moments of great subsequent regret. Unnecessarily, people on all sides have been hurt. The wounds are not just physical. Some of the deepest and most lasting have been emotional. Assaults upon personal dignity are difficult to forget, no less forgive. Volatility and unpredictability are never our friends. Whenever actions between people and the police escalate into a flashpoint of confrontation, there is the likelihood of injury and death. And with it, we suffer the prospect that the young, innocent, and vulnerable will be claimed. More than anything else, communities fear and grieve for the damage and loss of a child’s life. At times, it feels as though we have been trapped within Einstein’s theory of insanity — doing the same thing over and over again, and expecting a different result. Our losses have an all to familiar fact pattern. Lives are damaged. We express our sympathies. We accuse. We demonstrate. The media offers sound bites. Experts offer commentary. Hashtags are applied. There are calls for a “national conversation”. We file lawsuits, empanel grand juries, conduct trials, and suggest reforms. We continue to disagree — sometimes violently — about the outcomes. We then return to our respective ideological corners until the next bell rings. Here’s our bottom line. When tragedies occur—and reoccur—between the police and the people, there is never an acceptable verdict. There are no winners, and no adequate means of closure, recovery, or restitution. We all lose. In a free and open society, the police have always needed the assistance and cooperation of ordinary citizens. The job of the police is more difficult, if not impossible, when people do not see the police as a protective partner for their safety and security. Citizens must be able to look upon their police with respect and confidence — and to interact on an informed basis without fear. The police cannot be a separate force from outside the community — they must be the community. They should not be afraid to do their jobs. And we should not have to fear their work. “Community policing” cannot just be a term of art. 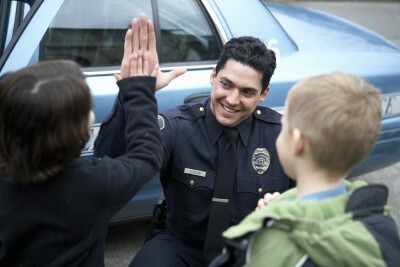 Many citizens know that when the police walk the streets, they have the chance to talk to them and know them. With close and frequent contact, all sides become more trustful and willing to help each other. We can neither afford to be strangers nor estranged. Finding trust and mutual respect between citizens and their police has always been hard. It can be elusive. It is here one day and gone the next. It requires continuous effort, as well as the recognition — by all sides —t hat there can always be room for improvement. But it is worthwhile. Most importantly, it is necessary. Our most basic guarantee is to live free from harm. When we want for peace and safety, we truly have nothing else.